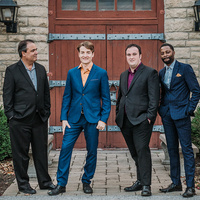 While the instrumentation for “Carry Me Home” is that of the standard classical piano quintet, this collaborative effort serves up the timeless works of Duke Ellington, Wayne Shorter, Bill Withers, John Coltrane and more, infused with gospel and sacred music influences spanning from the Appalachian Mountains to the spiritual landscape of J.S. Bach. Dipping into the rhythms of multiple world cultures, these five gifted, multi-stylistic musicians perform their own unique take on these familiar greats. The event is part of the College of Liberal Arts, School of Arts & Communication’s SAC Presents performing arts series.